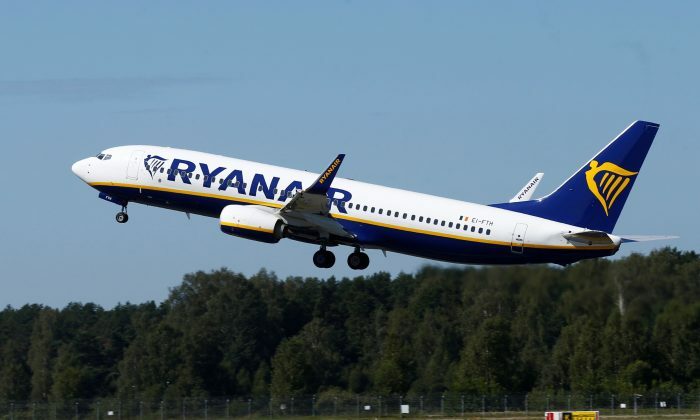 DUBLIN—Ryanair is bracing for its biggest-ever one-day strike on Aug. 10 with pilots based in five European countries set to walk out, forcing the cancellation of about one in six of its daily flights at the height of the holiday season. Ryanair, which averted widespread strikes before Christmas by agreeing to recognize unions for the first time in its 30-year history, has been unable to quell rising protests since over slow progress in negotiating collective labor agreements. That topped the 300 flights a day it had to cancel last month when cabin crews in Belgium, Portugal, and Spain escalated the staff revolt by going on strike for 48 hours. An Alaska Airlines flight made an emergency landing at the Oakland International Airport on Wednesday after it reportedly hit a bird. A solar plane using only solar energy as its power source completed a successful 26-hour experimental flight.